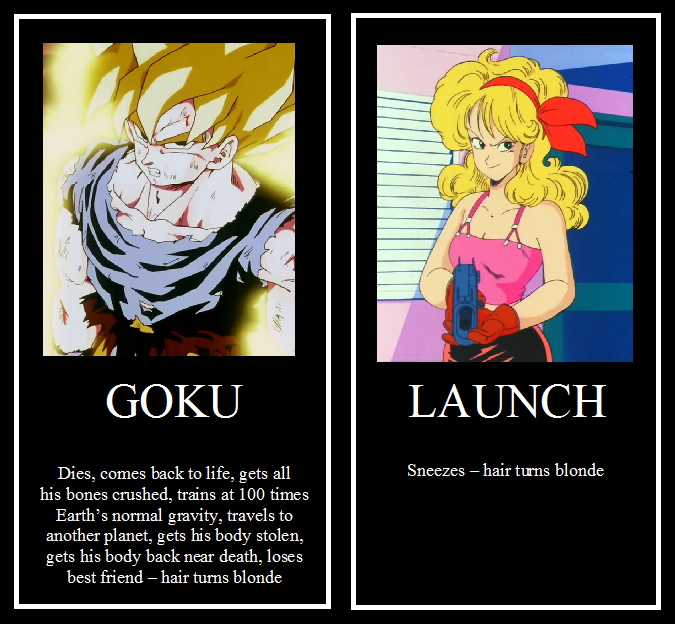 Image | This entry was posted in Bite-Sized, Dragon Ball, Images, Pop Culture and tagged Dragon Ball, Dragon Ball Z, Goku, Launch. Bookmark the permalink. Are you guys gonna tell me it’s because he didn’t stop and ask for directions?